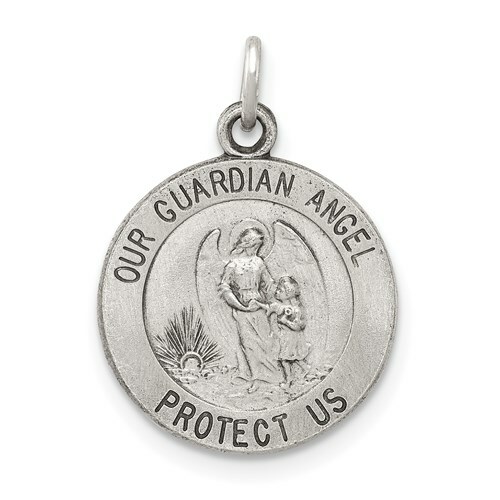 Petite, solid sterling silver guardian angel medal. Measures 1/2 inch tall by 1/2 inch wide without bail. Weight: 1.25 grams. Guardian angels are assigned by God to look over each person in this world. This item is half the size of a quarter.